basically same team as last year, a healthy Alexander and we were Final Four. This year, more experience across the board and more help for Alexander that is more experienced. Alexander iis a big key for sure. If he can reach his potential on the offensive end, and maybe add 15 pounds of muscle, we could be very hard to match up with. Ask me again when the season is over. A lot of folks gunning for us this year, and won’t sneak up on anyone....that being said, we have experience, and have a very solid 2 deep. Everything has to go just right, but Nova won last year with awesome talent, but more than anything, upperclassmen leadership....we’ve got that in spades, so WHY NOT US??? Go Vols. This is an opinion poll, not a fact poll. I think Tennessee is the #5 or #6 team in America going into the 2018-2019 season and i think they will win the 2018-2019 SEC Regular Season Championship. I went with 10-15. Depth at the pg position worries me a little. I think they are very deserving of a Top 10 ranking, probably Top 8...but I think we most likely are Top 12-15 most of the year. Voted 5-10. I won’t doubt Rick Barnes again. I talked to a family at a baseball game from West Virginia. They went to the Bahamas to see the basketball tournament last year and flew home on a flight with the Vols. Every one of them raved about Coach Rick Barnes and how fun and he and the team were. Dad said Kyle Alexander was a gentleman and ask how old the very attractive daughter was. She told him 15 and he was very nice but obviously changed his approach to her after that. The dad appreciated that because the girl definitely looked a lot older. 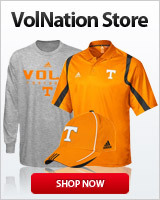 All Vols fans should look forward to this season regardless of the football team. This is Tennessee. I've learned to expect the worse and than be elated with any success. I'd guess about 10-15. Normally I would vote conservative on this but, I just saw a team photo and was blown away by the muscular nature of this team. These guys have been working and we know what that brings. We have some under class men that will break out this year giving us a deeeeep bench. We also have great leadership from our upper classmen. We have a winner! Top 5 all the way. Probably just above 500 at the end of the year. I have learned that each season is it's own individual masterpiece (or not!). There is not always continuity from one season to the next. That being said, I think Tennessee has just as much reason for optimism as anyone out there. If the players have put in their time in the gym, and in the the workout room, then the sky is the limit. We have several guys who need to grow into new and bigger roles. If that happens, then we are going to be a force to contend with. I think between 10-15 is more like it. We are one outstanding guard away, IMO.